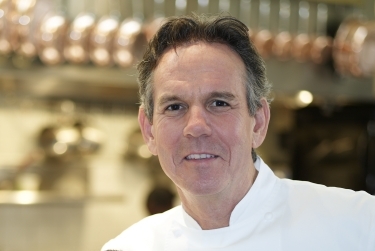 Later this month, Chef Thomas Keller will be awarded the highest possible honor in France - an appointment to the French Legion of Honor. Established by Napoleon Bonaparte in 1802 as a new system of honor to replace the recently abolished orders of chivalry (at the request of Napoleon during the French Revolution), the Legion of Honor remains the highest decoration in France. It is no wonder why Chef Keller has been named a Chevalier - in addition to his vast collection of awards, two of his restaurants (the French Laundry and Per Se) have earned a 3-star rating from the Michelin Guide, making him the only chef to garner two such awards simultaneously. All of his accolades aside, while Chef Keller is not the first American to be named a Chevalier, he is the first American man. While historically it seems as if it is always the other way around, the first two Americans honored by the Legion were both women - famous, fabulous women: Julia Child and Alice Waters.